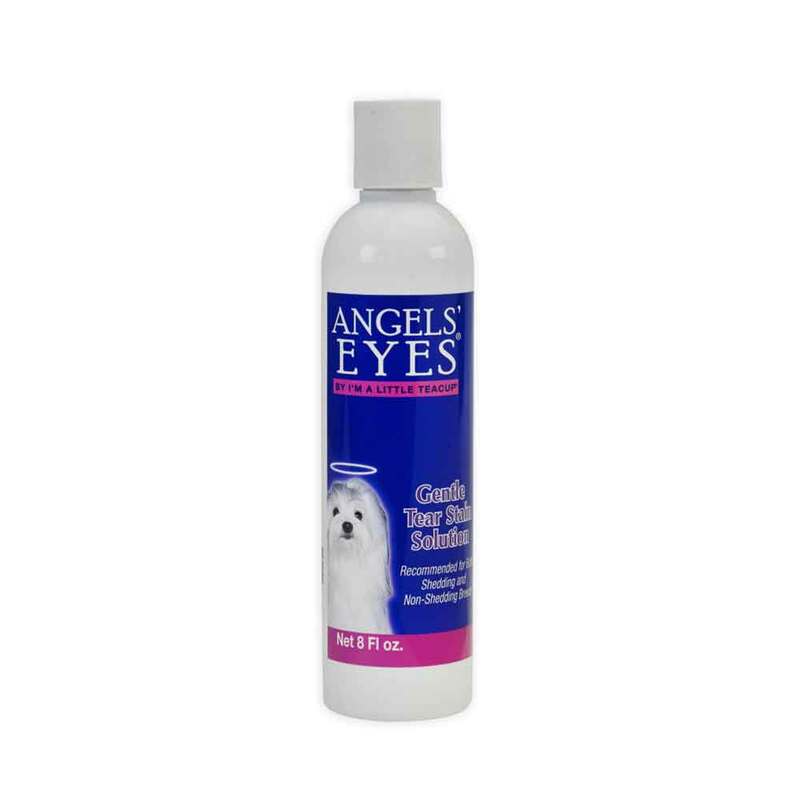 Angels’ Eyes ® Tear Stain Solution is a topical, gentle water-based solution to help remove tear stains. It may also help remove saliva stains from your pet’s fur. For best results use daily to maintain a beautiful coat.Recommended for daily use. Saturate a cotton ball with solution and gently rub affected area using a separate clean cotton ball for each eye. For difficult stains repeat as necessary.Recommended for both shedding and non-shedding breeds.